The Makem and Spain Brothers. As proof that the summer is still officially in season, the Irish festival circuit still continues. The cooler crisp days of September make for wonder forays to hear some great Irish music assembled in various locales. For 39 years folks from the Delaware Valley area of New Jersey, Delaware and Pennsylvania have looked forward to a hard-core trad festival organized by the Philadelphia Ceili Group which was one of the pioneering festivals in the U.S. devoted to that genre exclusively. The festival has been held at the Commodore Barry Irish Center in Mount Airy section of Philadelphia in recent years which is the home base of the PCG (www.philadelphiaceiligroup.org), making it more feasible to operate. It gets underway on Thursday night, September 12 at 8 p.m. with a concert devoted to singers mostly from the area organized by Gerry Timlin and Terry Kane. On Friday night there are two activities starting at 8 p.m., a ceili to the music of Kevin McGillian and friends, and new this year, a “rambling house” caper under the guidance of the mighty Galwegian Gabe Donahue, who has coaxed the rambunctious Joanie Madden to come down as a special house guest for the night. On Saturday at 11 a.m. a full day of family fun gets underway. 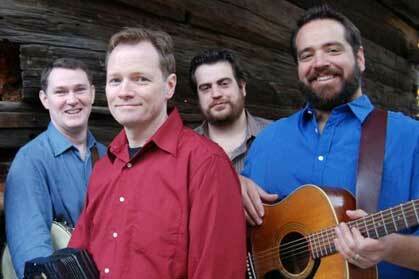 Irish music fans can look forward to workshops early in the day led by the performing artists. The festival culminates with a concert in the spacious ballroom beginning at 7 p.m.
Rolling down Route 95 from New York will be the Atlantic Wave Band led by Tony DeMarco, Martin O’Connell, Sean Earnest, Donie Carroll and sean nos dancer Siobhan Butler to be joined by Nuala Kennedy and Eamon O’Leary. Check out the PCG website for full information, directions and pricing. Also taking place this weekend is the 17th annual Irish 2000 Music and Arts Festival in Ballston Spa, New York at the Saratoga County Fairgrounds with over 20 musical acts starting on Friday night into all-day Saturday. It makes for a picturesque drive upstate, and on tap are musical acts like the Makem and Spain Brothers, Girsa, the Barra MacNeills (from Cape Breton Island) and the always entertaining Screaming Orphans and Shillelagh Law along with the Irish Festival favorite Gaelic Storm. Full details can be found at www.Irish2000Fest.com.